In your organization, each minute counts. 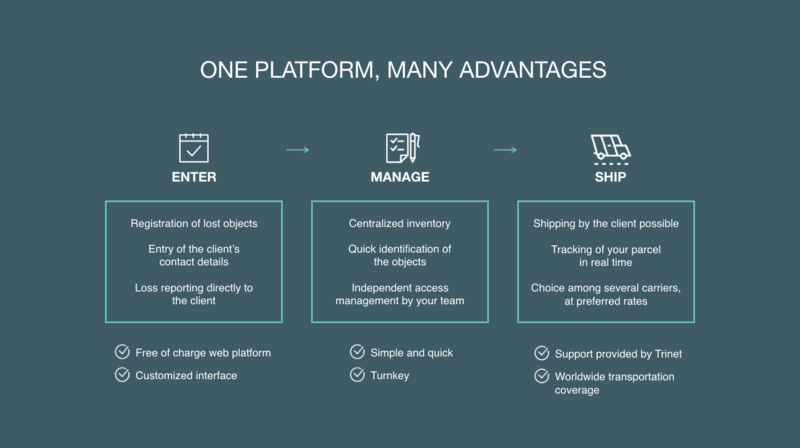 Trinet Lost & Ship is the only free of charge web platform which covers inventory management and quick and efficient return of objects lost or forgotten by your clients. The platform allows you to view your inventory in real time, to identify quickly the items and to ship them back to their owner in just a few clicks. A simple call is necessary to ship their lost objects to your clients. The countless follow-ups with carriers and customs documents are over. The system manages the inventory, the payments and the shipment. 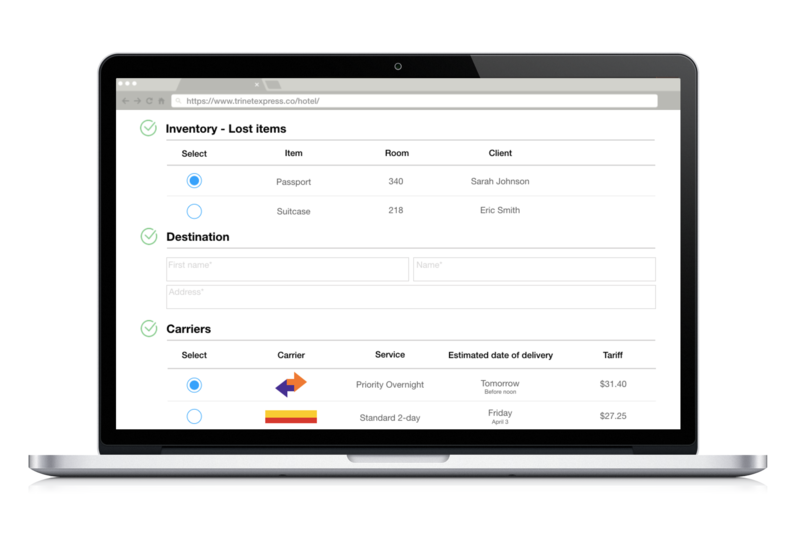 Our platform lets you manage shipping for your clients, advise them about lost objects and they can even complete the process themselves. In addition, the Trinet team takes care of customer service. Your clients receive a confirmation email indicating the tracking number. No more hassles for managing lost objects, Trinet Lost & Ship is the solution to your problem!